Born and raised in Manitoba, Del Barber has been winning audiences with raw talent and ample doses of charm. In two short years, Barber has released two full-length records and toured coast to coast twice, playing everywhere from Halifax to Albuquerque. 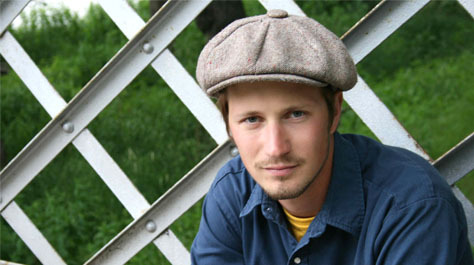 Where the City Ends (2009), Barber’s first collection of tunes, made its mark on the roots scene earning him a nomination for a Western Canadian Music Award for Roots Solo Album of the Year. With the release of his sophomore record and non-stop touring schedule, Del has been climbing roots charts across the country.